Washington, March 25: Boys with obesity, or excess belly fat, enter puberty at an earlier age than average, scientists have found. Researchers from the University of Chile conducted the study on 527 Chilean boys ages four to seven years. They found that both total body obesity and central obesity, or excess belly fat, were associated with greater odds of starting puberty before age nine. "With the increase in childhood obesity worldwide, there has been an advance in the age at which puberty begins in girls," said Maria Veronica Mericq, the lead investigator of the study. "However, in boys the evidence has been controversial," said Mericq. Some studies have found that obesity delayed puberty, whereas another study showed that only overweight but not obesity induced earlier puberty in boys. Anti-Obesity Day 2018: 6 Shocking Facts About Obesity You Didn’t Know About. Early puberty -- called precocious puberty -- is linked to possible problems including stunted growth and emotional-social problems, researchers said. The team found that the prevalence of total obesity increased with age, from 22 per cent of boys ages 6 to 7 years to 28.6 per cent at 11.4 years, the average age at onset of puberty for this group. 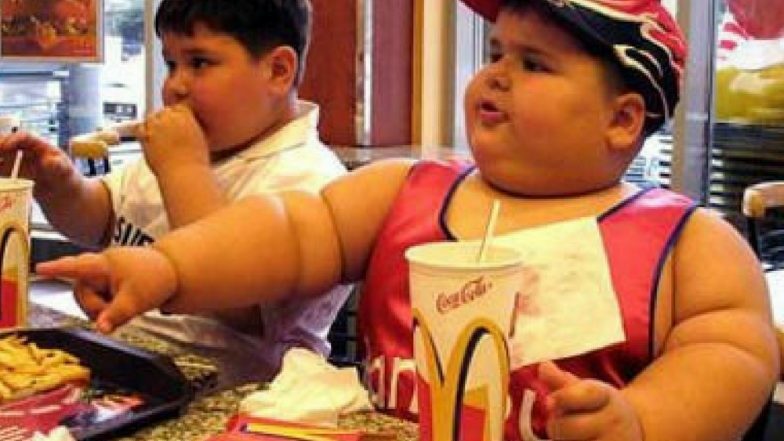 Central obesity also increased in that timeframe, from 11.8 per cent to 17.4 per cent. Precocious puberty reportedly occurred in 45 boys, or nine per cent. Total obesity and central obesity from ages four to seven raised the odds of early puberty compared with having a healthy weight. For instance, among boys age five or six, those with obesity had nearly 2.7 times the odds of starting puberty early, and those with central obesity had almost 6.4 higher odds of puberty before age nine, Mericq said. She explained that central obesity more closely relates to fat mass, because a higher BMI may reflect increased muscle, especially in athletes. "Early puberty might increase the risk of behaviour problems and in boys could be related to a higher incidence of testicular cancer in adulthood," Mericq said. "Our results suggest that controlling the obesity epidemic in children could be useful in decreasing these risks," he said.